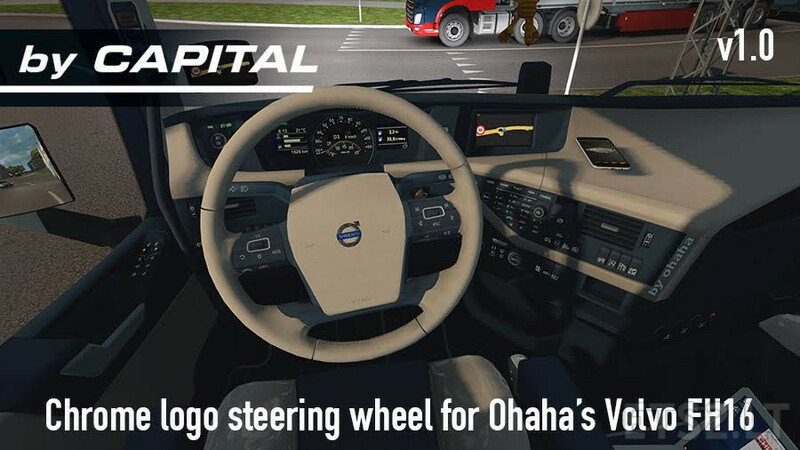 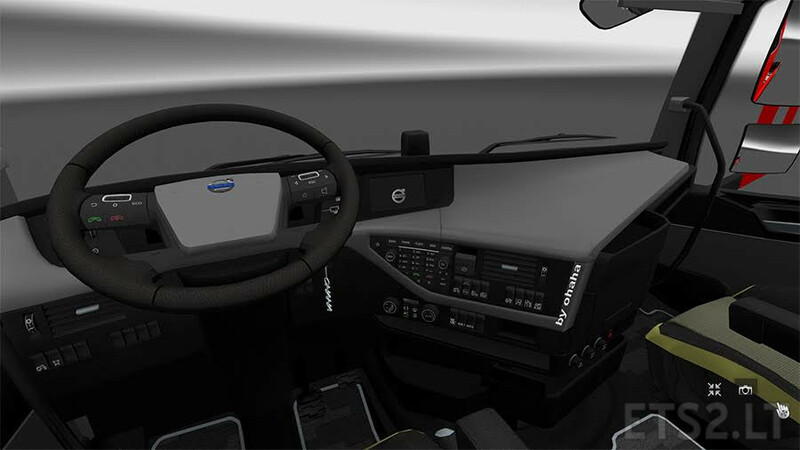 This mod adds two new steering wheels to Ohaha’s Volvo FH16 2013. These steering wheels have a shiny chrome logo instead of the stock matte logo. 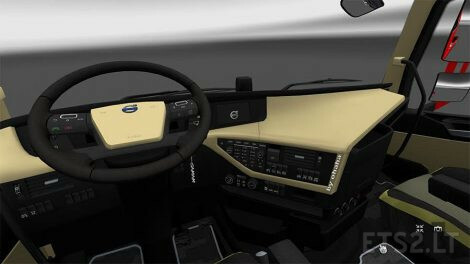 The mod uses the same textures as Ohaha’s Volvo so it will work with custom interiors. Give this mod higher priority than Ohaha’s Volvo mod to avoid conflicts.